These small revolvers are beautifully engineered. They are of course ''mouse'' and nothing more. I do believe though that this when set up with the magnum cylinder (my norm) - it is still of some use and so an easy BUG to 'lose' in the smallest of pockets. 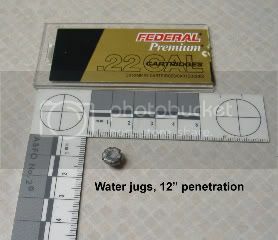 It is said that the ..22 WMR muzzle velocity out of this approximates that of a .22lr from a rifle - so approx 1200 fps. Despite diminutive size and my large hands, it is quite easy to operate accurately - at close ranges of course. Strictly SA only and to reload the cylinder pin is removed and whole cylinder unloaded and reloaded out of the gun. A short YouTube video was done to show the process - see lower down. Gobango.net web site - see this picture and many more, plus articles. Could just be that that diminutive little gun could save your life if it was all you had!! True. Much better than a knife or mean words. I was also looking at some of those little two-barreled derringers from Bond Arms that they advertise in the back of the NRA rags. I've always wanted one of those little guys. I'm not really sure why but it might have something to do with always wanting any gun that I don't already have. Oh well, a guy can dream. I handled one once at a gun show in Colorado and probably should have bought it then. 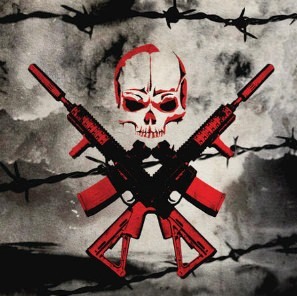 I have heard that they are loud and have a good deal of muzzle flash. That makes it more fun. I saw that Colleene from Keeping the Piece got one of these for Christmas. Maybe she'll write up a review and let us know about how the muzzle flash and noise levels are. I bought one of these little blasters a few months ago, after years of debating whether I wanted what I thought was a novelty gun. As soon as I got my hands on it, I was very impressed with the craftsmanship of the revolver. Make no mistake, despite it's diminutive size, these are serious, quality firearms. About the time I bought mine, ammo makers began cranking out .22 magnum self defense ammo, making them in my opinion, viable self defense tools. I bought and tested (unscientifically) three brands; Federal TNT, Speer Gold Dot and Hornady Critical Defense. In my back-yard water jug tests, all three produced impressive results for penetration and expansion. The one which really grabbed my attention was the Critical Defense. 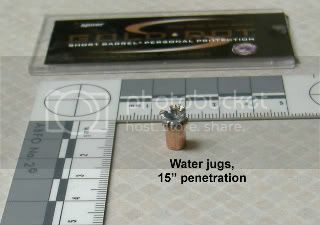 The bullet impact was most impressive, with penetration over 15 inches. 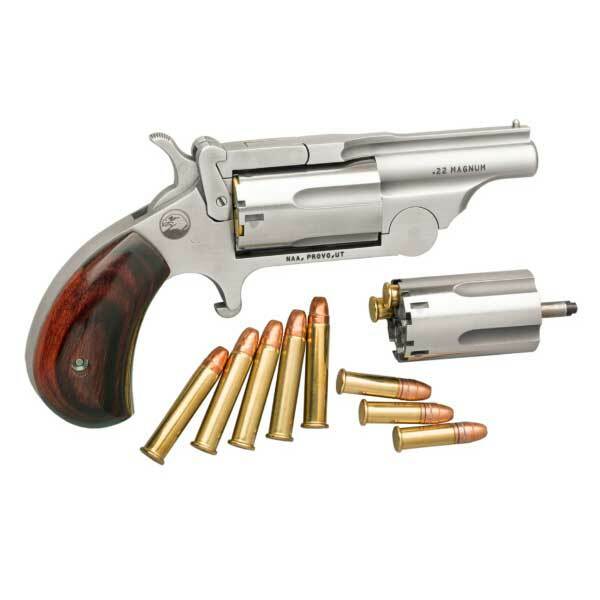 Bullet expansion was out to about 9mm, which IMO makes the lowly NAA Mini Revolver .22 mag a serious back-up, or as my neighbor likes to call them a "taking the trash out gun." Your experience is almost typical! So many folks saw these guns as toys and novelty pieces - far from it of course. I haven't explored special SD ammo but have found my CCI "Max-Mags" pretty OK.
As I have mentioned elsewhere - the MV of the .22 Mag out of this lil' puppy is close to std .22LR out of a rifle - maybe 1200 fps tho I haven't as yet clocked mine. For sure tho - despite the diminutive size, this is still for me a best option for a mouse gun. main concern is - hoping not to have to reload in a hurry!! I haven't explored special SD ammo but have found my CCI "Max-Mags" pretty OK. The bullet technology is quite impressive. Instead of a typical .22 cal. bullet lump-o-lead, these bullets have the same engineering as their larger caliber cousins. Copper jackets with internal serrations to control expansion, and in the case of the Hornady stuff, a polymer tip to enhance expansion through virtually any barrier. Here's a couple of photos from my testing, but sad to say I forgot my camera when I shot the Hornady CD, which was very impressive. Thx for pics. The Fed premium looks rather like the Maxi-mags after expansion. The other (can't recognize the logo) .... looks amazingly effective!! Bullet length looks greater so maybe a heavier pill. The other one is Speer Gold Dot, which I'm a big fan of in the bigger calibers. As far as a .22 round goes, it looks like they're not doing too shabby there either! The guys and I while in school refereed to these as "onion field" insurance. I read about the case and years later saw a movie made about it. I can see now how a small gun like that could save your life. Very easy to miss that while being patted down by someone not experienced. That said I've never gone that small, I hide a Baby Browning copy made years ago by KBI, great little pistol itself. Polish the feed ramp, the extractor, and DON'T limp wrist and it'll keep 6 in a pie plate at 15 feet as fast as I can squeeze the trigger. Or as slow not much to aim with! I bought one of these last year. It is very fun to shoot but also is VERY loud. Even though it is small I can shoot it pretty good out to a few dozen feet. I goes in my pocket just about any time I go out. Hornady 22wmr in it but I keep meaning to get rat shot for fishing. Wow. I don't think I've ever seen that one before or at least didn't know what it was. I think I've seen one with those hooks on it before and it makes sense now knowing that they're for a breaktop. That bead sight isn't much though even less than the regular sights! I know a few people that have and carry them and I've been looking hard at them. I was just thinking a few days ago that I might "pull the trigger" and get one (a regular one) this week. The ones I can find around here are only magnum though and you have to order the LR separately. I thought the breaktop was an old model they stopped making?? Is it manual ejector or does it eject when you open it?